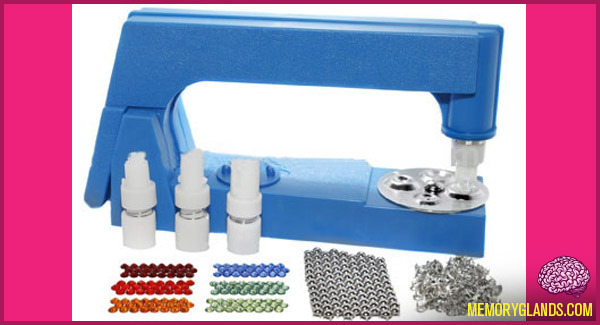 The Bedazzler is a home appliance which is used to fasten rhinestones, studs and patches to material, clothes and accessories. The Bedazzler first appeared in the 1970s as a direct marketing product. It was developed by NSI Innovations in the United States. It is promoted through Television infomercials, most recently by Tana Goertz of “The Apprentice” fame.